I dare you to read this book. I dare you to spread the Gospel. There is something unique about a challenge, and something even more powerful about being challenged. Jesus understood the persuasive power of challenging people—of daring them to believe in Him. He dared fishermen to leave their nets and become His disciples, He dared the crowds to take up their cross and follow Him, and He dared a fallen woman brought before Him to leave her life of sin. 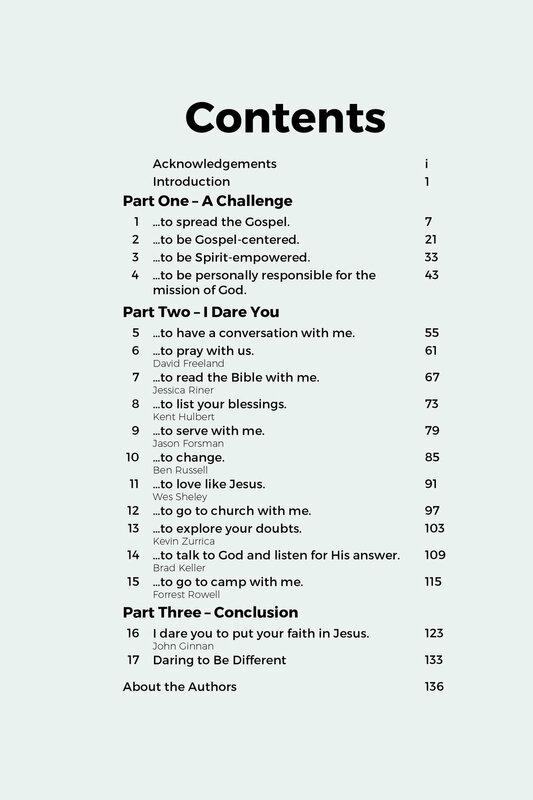 I Dare You is about spreading the Gospel one challenge at a time. You will be challenged to be Gospel-centered, Spirit-empowered, and personally responsible for the mission of God as you help your friends open the door to faith in Jesus. Dare them to serve with you, pray with you, or to read and talk about the Bible with you. Dare your friends to love like Jesus, or explore their doubts about faith. Dare them to listen to God, to change, or to see if going to church can make a difference in their lives. Challenge your friends with the ultimate dare—to place their faith in Jesus. 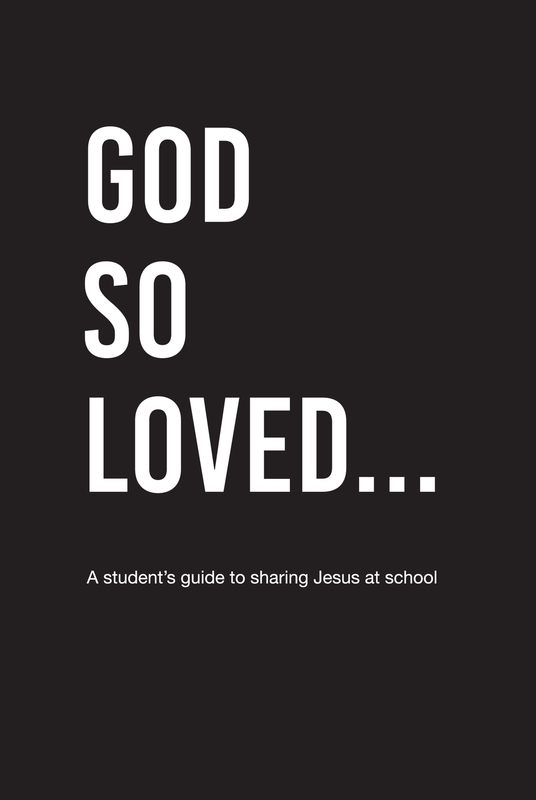 GOD SO LOVED is a student’s guide to sharing Jesus in the largest and most accessible mission field in the United States—the public school. 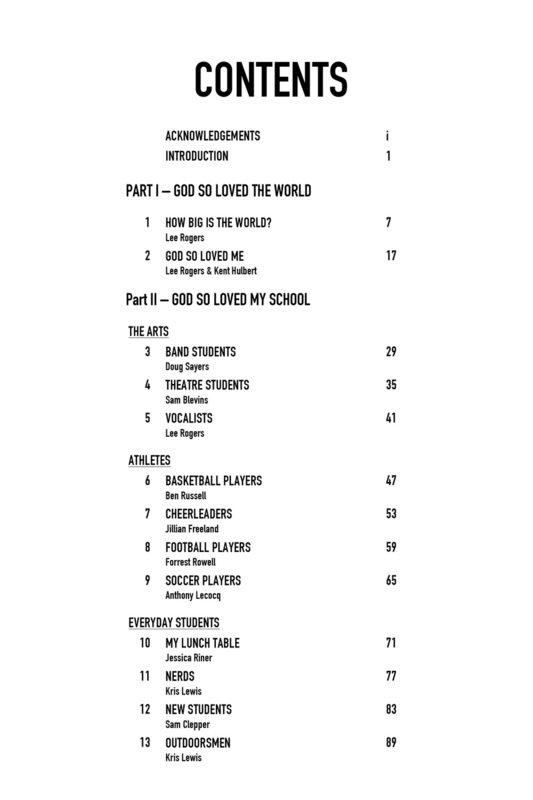 It is designed to help Christian students share Jesus through serving and conversations with more than 30 distinct groups at school and beyond. This book is filled with real life stories, practical ideas, and powerful questions that lead to great conversations. Middle and High schools are filled with diverse groups of people, all of whom need to hear about Christ: artists and athletes, academics and craftsmen, the hurting and the average, everyday teenager. GOD SO LOVED doesn’t begin on a foreign mission field—GOD SO LOVED begins in your school. Of all the challenges a Christian faces today, sharing the Faith with others can be one of the most intimidating. But it doesn't have to be! What if sharing the Gospel could occur naturally in a conversation about family, hobbies, or dreams? What if leading a friend to Jesus could flow out of a discussion about simple, everyday things that are happening in life? Learning to share your faith naturally and comfortably means learning to have great conversations, and becoming a great conversationalist along the way. 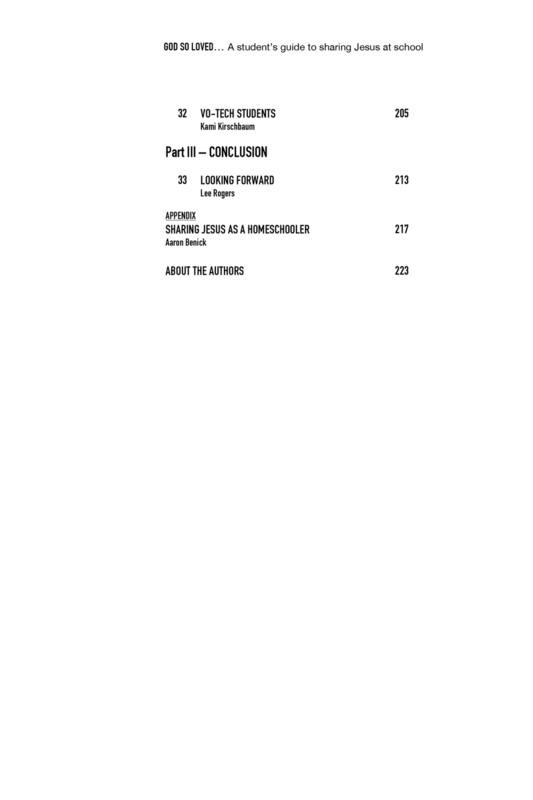 In INITIATE the principles of great conversations are explored, taught, and illustrated. Combined with concepts such as earning the right to be heard, the role of faith in evangelism, and understanding how the Holy Spirit is drawing people to God, this book can equip anyone to start powerful conversations. 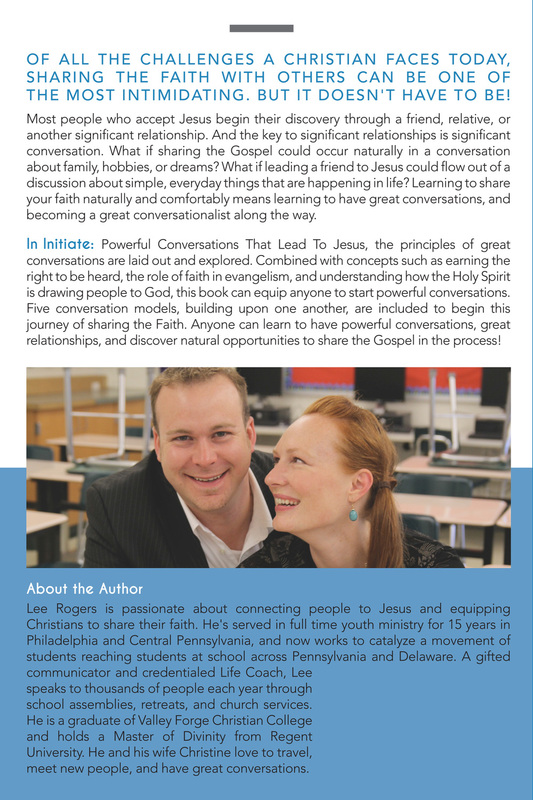 Five conversation models, building upon one another, are included to begin this journey of sharing the Faith. "And How can they hear about HIM unless someone tells them?" If you want to start making powerful strides for the Gospel, start having conversations. Conversations are the basis for friendship, and most people come to Jesus through a friend. **According to the American Institute for Church Growth, 75-90% of Christians commit to Jesus through a friend, while only 17% commit to Jesus through an event.